The Car GuideNews2020 Ford Mustang Shelby GT500: 700 HP… and a Speed Limit? 2020 Ford Mustang Shelby GT500: 700 HP… and a Speed Limit? Well, isn’t that ironic? On the very same day that Ford sends out a press release highlighting how virtual testing in supercomputers and 3D printing helped make the 2020 Ford Mustang Shelby GT500 the quickest-accelerating, most aerodynamically advanced street-legal Mustang ever, we’ve learned that the company has decided to set a speed limit for the car. That’s right: The monster that unleashes more than 700 horsepower from a supercharged 5.2-litre V8 engine running on 93-octane premium gasoline—the most powerful production car Ford has ever created—will be governed to 180 mph (290 km/h). Car and Driver first reported the news. Sure, the new 2020 Ford Mustang Shelby GT500 can blast from 0-100 km/h in about 3.5 seconds and finish the quarter-mile in less than 11 seconds, but it would have been nice to see a top speed of at least 200 mph (320 km/h), don’t you think? The reason behind Ford’s decision is a practical one, and it has to do with cost savings. Apparently, from a development and engineering standpoint, the difference in maximum speed is significant. The Blue Oval felt it was smarter to invest in extra performance-enhancing features, such as a dual-clutch transmission with launch control that shifts in less than 100 milliseconds and a large, adjustable rear wing borrowed from the Mustang GT4 race car. 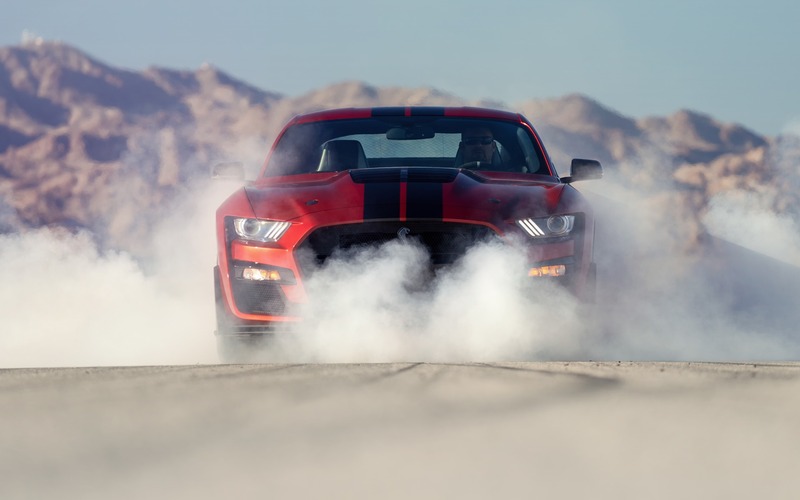 A 180-mph speed limit would put the new Shelby GT500 behind the 797-horsepower Dodge Challenger Hellcat Redeye and even the 650-horsepower Chevrolet Camaro ZL1 1LE, but the hope is that when all is said and done, Ford’s ultimate muscle car will be the king of road courses. When equipped with the Carbon Fiber Track package, which includes the aforementioned GT4 wing (not to mention custom Michelin Pilot Sport Cup 2 tires and a few weight-saving measures), the GT500 is said to generate up to 550 pounds of rear downforce. 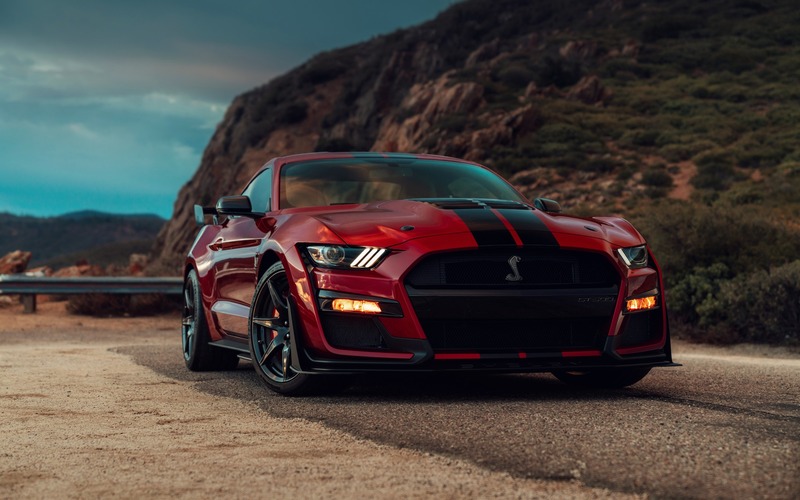 One more positive note: Back in January, Ford announced that the 2020 Mustang Shelby GT500 would go on sale this fall, but according to the latest press release, it will be available as early as this summer. Excited yet?